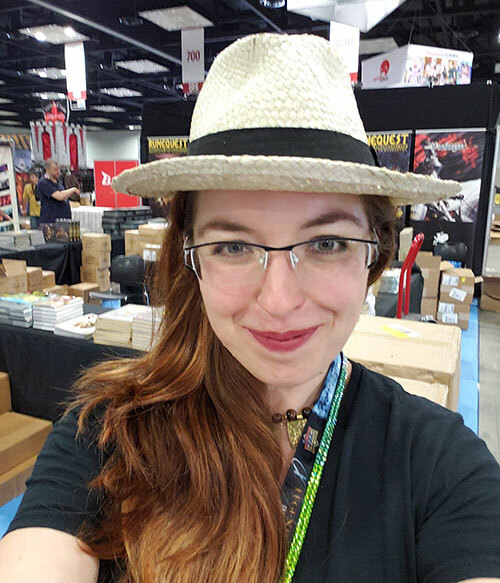 Ellie Akers is Chaosium's North American convention coordinator, and merchandising coordinator. Ellie discovered the world of Glorantha through the King of Dragon Pass video game and has been a rabid fan of the setting ever since. She started creating online games as a middle school student when she could not find games about horses that treated them seriously. That passion for equine genetics and community building lead her to a full-time career in game design, which she has enjoyed for well over a decade. Ellie along with her husband and daughter live on a farm in Indiana where they raise chickens and goats. They only occasionally perform occult rituals to the gods.